A year and a half ago, when I was still pregnant with my son, Dune, Ponca Elder and movement leader, Casey Camp, said something to me that I’ll never forget. 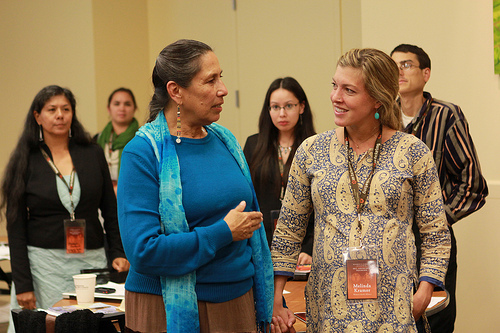 It was Day Two of our IEN/Women’s Earth Alliance Advocacy Training, linking 60 advocates and activists from around the U.S. for collaboration on indigenous women-led environmental justice campaigns. Casey, a life-long advocate for environmental justice and founder of the Coyote Creek Center for Environmental Justice, sat with me in the WEA office as I interviewed her about her work, her vision, and the power of coming together across cultures for collaboration. As we talked, Casey looked at my pregnant belly and said, “Right now you’re creating a child, and your child is creating you simultaneously. 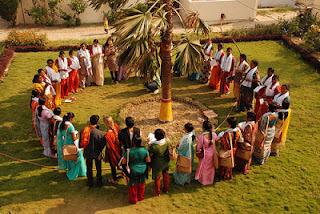 Your baby is creating a mother.” These few words, for me, captured the soul of our work at Women’s Earth Alliance: we recognize that our lives are inseparable from one another and that only in connection with and service to others can we reach our fullest potential and offer our greatest gifts. Casey’s comment echoed the South African term “Ubuntu”, which loosely translated means, “I am because you are.” This wisdom reminds us that we are inextricably linked. Our choices and experiences, our triumphs and pain are bound together in a web of reciprocity. On every continent, at the epicenter of each environmental disaster, women stand arm in arm, imagining change and then invoking it. Women do not become leaders and change-makers without others beside them. Our power and courage grow together. 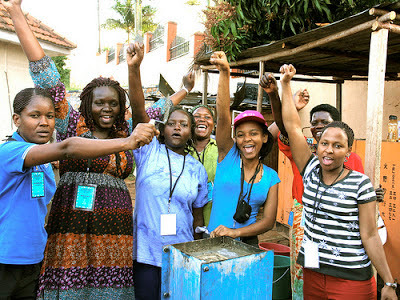 As a woman gains strength from her network of grassroots women's groups, she amplifies her capacities, creates her vision, and raises her voice. This shared strength and collective vision enables others to become stronger, clearer, more fulfilled. When we build ourselves as leaders, we shape one another as leaders – all in service to the first mother, our shared planet Earth. At WEA, Mother’s Day is a moment in time to honor the work of mothers and community caregivers around the world – women who are mothering children and mothering movements; birthing babies and birthing transformation in their communities. WEA partners with fierce women leaders and groups who step forward to demand clean water and healthy food, who are determined to protect ancestral homelands, and who design solutions to counter the environmental destruction we all face. Today, as I reflect on my journey of motherhood and at WEA, I appreciate once again the truth of Casey Camp’s statement. I am humbled by the teachings my child has already bestowed on me: patience, presence, endurance, compassion. And I am proud to stand in solidarity with women worldwide, who are doing the essential work of mothering – for their own families and for other families; for their homes and communities; and for the Earth. Learn more about Women's Earth Alliance or send a special card to a mother for Mother's Day!